Take a spin on the wild side at CyberBingo in November as you hunt down some Big Game prizes in their action-packed Wild Slots Tourney. They have rounded up their players favorite slots to play between November 1st and November 30th and there’s a guaranteed $1,200 cash prize for our Wild Slots Tourney winner. With $2,200 of Wild prizes to be won by the top 20 players who spin and win the most on the tourney slots in November, start spinning your way to the top of the leaderboard in the CyberBingo Wild Slots Tourney! 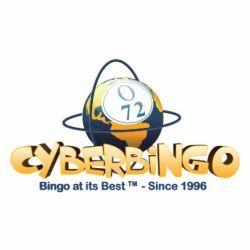 Join in the slot fun at CyberBingo between Thursday, November 1 at 12:01AM EDT and Friday, November 30 at 11:59PM EST and you can become a Lion Explorer, track down the elusive Mystic Wolf or maybe even swing through the trees with Jr Jungle. Spin the reels on any or all of the action-packed tourney slots and every time that you win, you’ll be one step closer to winning the fabulous first prize of $1,200 in cash!